(NEW YORK) Gillian Gorman Round, formerly senior vice president, brand development at Conde Nast, has been named publisher at Lucky. Marcy Bloom, formerly publisher at Lucky, has left the publication. Jennifer Alfano, formerly co-founder and editor at KeepItChic.com and founder of an eponymous handbag line, has been named fashion features director at Harper’s Bazaar. 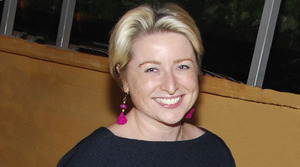 Mary Kate McGrath, formerly senior editor at Real Simple, has been named editor-in-chief at PureWow. Erica Futterman, formerly online associate editor at Rolling Stone, has been named managing editor at BuzzFeed. Micaela English, formerly assistant to the editor in chief, Jay Fielden, at Town & Country, has been named web editor at the publication. Leena Kim has been named assistant to the editor in chief, Jay Fielden, at Town & Country. Rachna Shah, formerly senior vice president, PR at KCD New York, has been named executive vice president, PR and managing director, KCD Digital at the company. Kerry Youmans, formerly vice president, PR at KCD New York, has been named senior vice president, PR, New York and London at the company. Renee Barletta, formerly vice president, PR at KCD New York, has been named senior vice president, PR at the company. Txampi Diz, formerly vice president, PR and managing director at KCD Paris, has been named senior vice president PR, Paris and London and managing director, Paris at the company. Michele Giacalone, formerly senior publicity director at KCD Paris, has been named vice president, PR at the company. Brittany Masset, formerly account manager at Starworks Group, has been named director, PR at the company. Jennifer Washington, formerly account manager at Starworks Group, has been named director, VIP at the company. Ashley Ross, formerly account manager at Starworks Group, has been named senior account manager, PR at the company. Carolina Alvarez-Mathies, formerly marketing and PR director at Angel Sanchez, has been named PR and marketing manager at Roberta Freymann. Kristen Steinhilber Calavas, formerly president at TheLookbook.com, has been named head of U.S. PR at Fitflop. Bevin Bailis, formerly vice president of global communications at The Estee Lauder Companies, has been named vice president of North America operations, communications, and design at Swarovski. Russell Pagliughi, formerly director of sales and national accounts at Lagos, has been named head of atelier sales for the Americas at Swarovski. HL Group announces its representation of Daniel Vosovic and WHIT by Whitney Pozgay. Linda Gaunt Communications announces its representation of Bailey44. Starworks Group announces its representation of Alton Lane and Cushnie et Ochs. Andoscia Communications announces its representation of Liza D Consulting. Mehta Media Group announces its representation of Temple St. Clair jewelry. SHO + CO announces its representation of Edie Parker & Joe Fresh for VIP services. YaYa Publicity announces its representation of Claudette lingerie and Peixoto Swimwear. Heather Magidsohn Consulting announces its representation of Sophia Webster for VIP and related PR services. SUCCARRA announces its representation of Celia de Flers Designs. LFB Media Group announces its representation of The LCL: Bar & Kitchen. EFG :: Entertainment Fusion Group announces its representation of Culture Club, Givebones, Ryan Lochte, Julie Benz and Keong Sim. Bollare Communications announces its representation of Buddha Mama Jewelry and Mataano for the upcoming NYFW season.